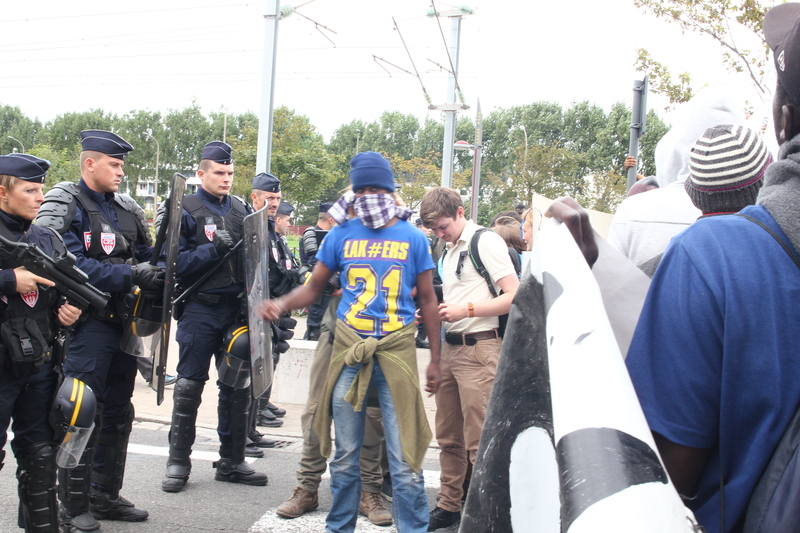 Today saw a demonstration in Calais, organized by people in the jungle. 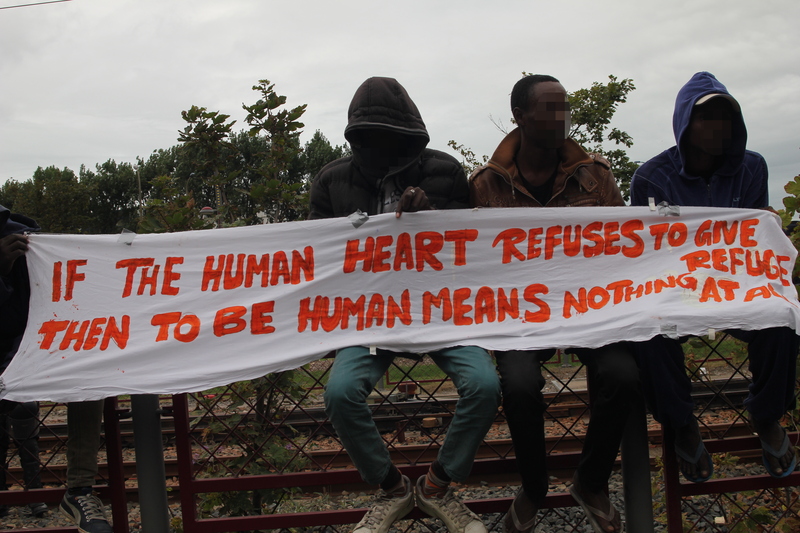 The protest was planned to coincide with the massive rally held in London, and to bring attention back to the refugees already in Calais while the UK decides to accept more from overseas. 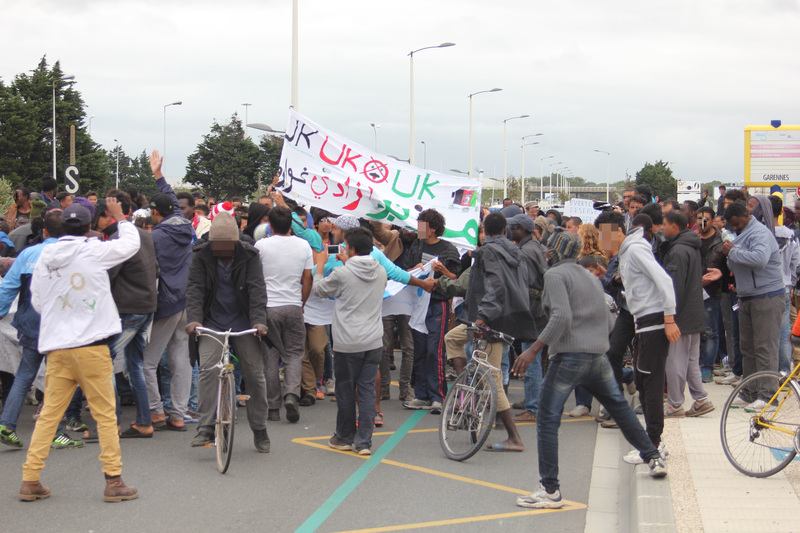 Todays march adds to the almost daily protests by people in Calais in the last week. After the rally, people returned to the jungle, largely at a time of their choosing shouting all the way back. 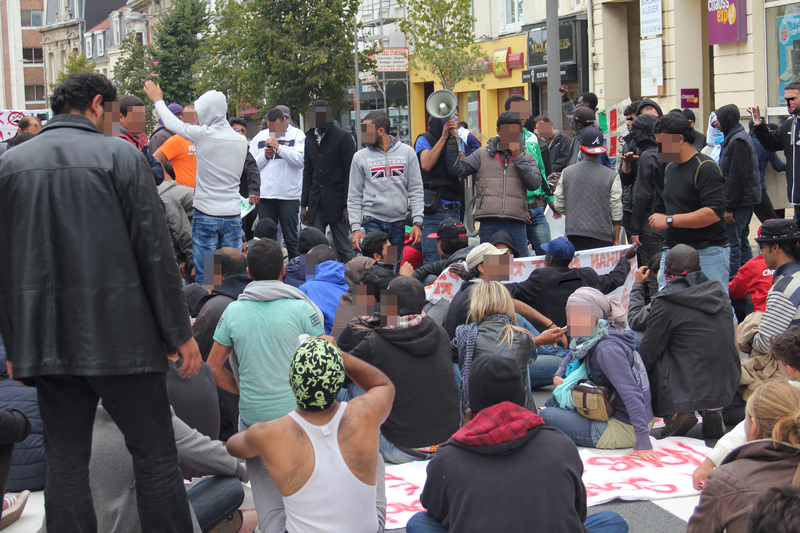 The feeling in the group was really positive as even though they had been stopped from marching down one street they were able to get around the police and occupy and disrupt Calais’ main shopping street. 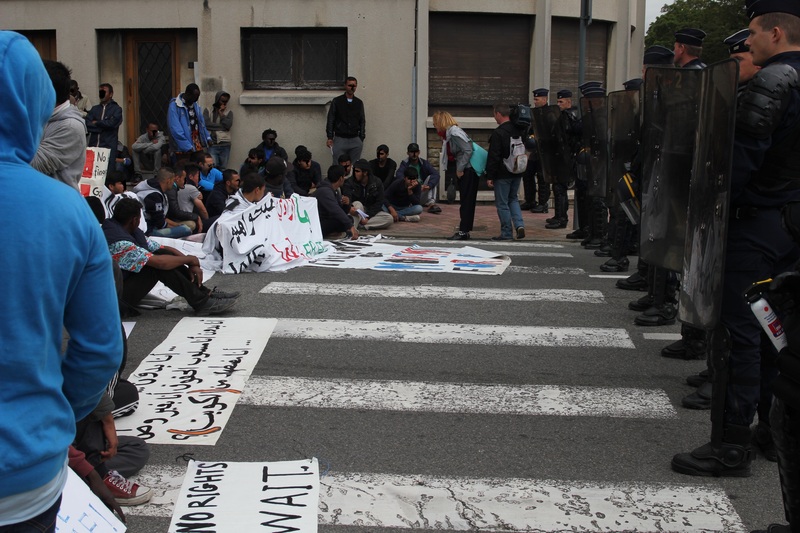 There was a lot of really positive reactions to the demonstration from the Calaisiennes, and it was really encouraging for the protesters to continue their struggle and demonstrations in the coming days.